Address: Kodak Limited (UK), Building 8, Hatters Lane, Watford WD18 8PX. Kodak is a technology company focused on imaging. We provide - directly and through partnerships with other innovative companies - hardware, software, consumables and services to customers in graphic arts, commercial print, publishing, packaging, electronic displays, entertainment and commercial films, and consumer products markets. With our world-class R&D capabilities, innovative solutions portfolio, and highly trusted brand, Kodak is helping customers around the globe to sustainably grow their businesses and enjoy their lives. Though Kodak has mostly been known for its historic role in photography, the company has served imaging needs of numerous industries since the early 1900s. Kodak's current portfolio is based on deep technological expertise developed over the years in materials science, deposition and digital imaging science. Using this expertise, the company that delivered the first roll film and the first digital camera is now delivering leading solutions for today's business customers. Today we are building new growth businesses based on our technology and the value of the Kodak brand. 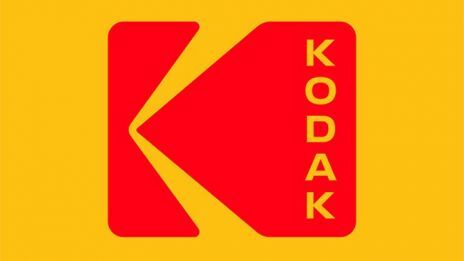 Kodak’s Motion Picture and Entertainment business is the world leader in providing motion picture film and imaging products, services, and technology for the professional motion picture and exhibition industries. Kodak Motion Picture Film, Kodak Film Lab London & Kodak Digital Services are available to discuss all aspects of the film workflow from shooting, processing, transfer, printing and scanning to long-term archiving along with the film-friendly network of collaborative companies supporting 8mm to 65mm production, post and preservation in the UK. Kodak Motion Picture is the supplier of the full range of Kodak's motion picture products. Kodak VISION3 Colour Negative Films deliver excellent grain and sharpness and true speed ratios. The KODAK VISION3 Film family offers high-definition capture with unrivalled highlight latitude, reduced grain in shadows, flexibility in post, and, of course, proven archival stability. The Kodak Film Lab London, based at Pinewood Studios offers comprehensive negative processing services for motion picture films offering 16mm, 35mm and 65mm negative processing. Our lab houses two Photomec Silver Sprinter processing machines that can handle over 120,000 feet every 10 hours. Using Kodak’s pre-mixed chemistry, we run day and night baths Monday through Friday and on weekends by arrangement. Our dedicated team of highly skilled film technicians have extensive experience working on major feature films, commercials, promos and archive projects so you can be assured of the very best service and support for your project. Kodak Digital Services London, includes a state-of-the-art 4K Scanity HDR film scanner with full Wetgate functionality which is the first of its kind to be available in UK. The scanner provides a complete scanning solution for Dailies, Mastering, and Archive film in a range of resolutions from 0.5K to 4K.